A while back I made a bucket list, which you can access here, and I am proud to announce that I have successfully achieved another one of my goals. We spent 7 days at 2 different game reserves and, to be honest, it was such an exhilarating experience! Seeing so many different types of animals in person, that I have only dreamed of seeing, was so amazing! 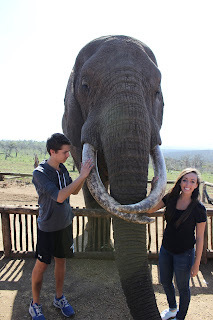 One of the first things we did was the Bayete Zulu elephant interaction. This interaction allows you to feed, pet, and learn about three different elephants. The main elephant is named Rambo. He is a wild elephant who comes to a specific spot every single day to get fed by humans! Although he is acclimated to us, he stands behind a small barrier just in case since he still is a wild animal in charge of a wild, roaming herd of elephants. 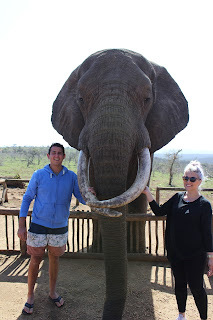 He was the only elephant that we were allowed to really get up close and personal with. After we were done with our interaction with Rambo, we made our way to his wife, Rachel, and baby, Jabulani (which means "happiness" in Zulu). However, Rachel is still protective over Jabulani so we could only feed them from a small distance by placing the grain inside their trunks. Seeing these massive animals up close was completely unreal. You really do realize how tiny you are and how beautiful these creatures are. They were so gentle yet powerful at the same time. Quite amazing! Unfortunately, I won't be mentioning exactly which game reserves we went to due to technology assisting poachers in finding rare and endangered animals, so with that being said, I will be referring to the game reserves as Reserve #1 and Reserve #2. A really exciting moment happened while we were on our way to Reserve #1. We actually saw a leopard run past our car on the side of the road. Leopards are extremely rare to see, especially out in the open like that and that was, in fact, the beginning of our luck throughout the trip. Once we got to Reserve #1, the luck continued. We saw 4/5 Big Five animals on the first day and the last one on the second. The Big Five consists of Leopard, Rhino, Buffalo, Lion, and Elephant. They are known as the Big Five because they are the only animals within the bushveld that will actually hunt you back (kind of scary, I know)! While we were at Reserve #1 we saw many animals throughout our drives including baboon, zebra, giraffe, rhino, elephant, lion, and buffalo. We also had the pleasure of witnessing a cheetah stalk its prey, which is extremely rare to see. It was so cool, especially since the cheetah came within 10 feet of our vehicle. In all honesty, I thought the cheetah was stalking us for a split second, but it was so exhilarating being able to watch the food chain in real life! Our cottage at Reserve #1 was also visited many times by different animals. We got to encounter them up close from either our porch or behind a window. One of the animals that appeared were a family of warthogs while we were having our lunch on the porch. It was so cool especially since they came so close to us (since we had food haha)! A very rare visitor showed its face late a night as well. Three bush pigs, also known as the "Ghost in the Night", roamed around the porch. Since they can be extremely aggressive, we quietly watched them walking around behind a window. Once our small trip to Reserve #1 was over, we made our way to Reserve #2. 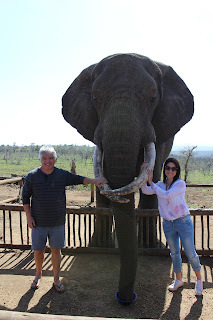 During our stay here we had many close encounters with animals during our game drives. We did two drives a day, one in the morning and one in the evening, all while staying in a camp site in the middle of the park. One of the highlights of this trip was witnessing two male giraffes fight. Even though giraffes are my favorite animals and I really don't want to see any of them hurt, it was so interesting to watch. At one point we had the opportunity to watch Zulu singers. It was amazing to be able to see an entirely different culture through song and dance! Throughout the whole performance I couldn't stop smiling! Our last night in the camp was especially one I will never forget. Let's just say waking up in the middle of the night with a lion who got into the camp site, sniffing around our tent was not ideal. 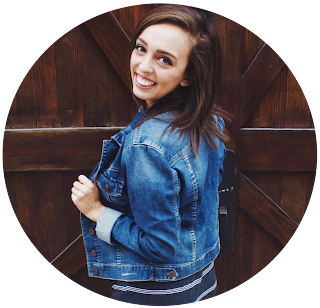 In the most simple way to put it, I was as still as a stone and shaking in my boots. Although that night consisted of mostly restless sleep, it was definitely an adventure I will be able to tell my kids about one day! Within the bushveld of Africa, there are many things that one wants to remember. All the wildlife seen and memories made will always be there and I'm so incredibly blessed to have been able to learn and appreciate the wildlife that exists in this part of the world.